Main function of DNS is to resolve host names to IP address host name means the name of the system and IP address given in the TCP/IP properties on bulky network either LAN or WAN when point to point communication is required IP address is the essential obligation. I never knew that a router can be used as a repeater. It would be great to be able to get Wi-Fi in some of the rooms that are further away from the router in my house. Now, I’m going to have to try and figure out if this will work for me. The increasing number of cyber security threats, information hacks, privacy attacks have made the importance of security more evident than ever. This is the reason why large organizations that are involved in online business have realized the importance of cyber security. Now, every organization is working on a security framework meant to safeguard their online presence. Thanks for this tips you shared. I keep believe in removing browser cache cookie for getting faster internet. Always you should try to update your hardware to get maximum speed of connection. Windows sometimes reserve some bandwidth for background activity. Removing the access in background data can give you some extra speed. 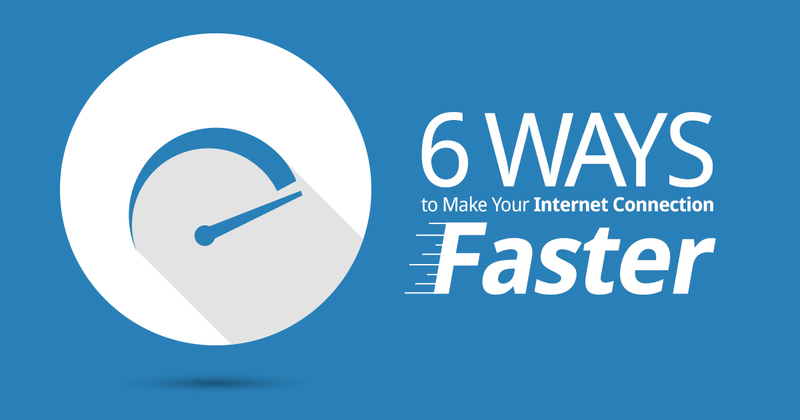 Well, I think with the helps of these tips people can enjoy the fastest internet speed. I am agreed with you adware consume the most of the internet bandwidth and even they are not safe for computer. File sharing software is also the major factor of internet speed slow down because people download the files from your sharing and your internet connection consumes bandwidth by uploading files. Well, It can help people to run their internet in proper way as the speed provided by their ISP. Well, I was also trying to make my internet more faster. Thank you so much for helping me out.